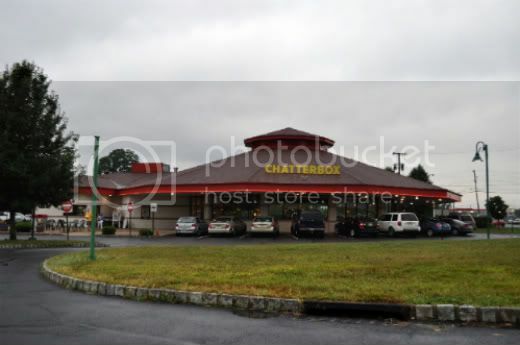 If you are looking for a fun blast from the past, then be sure to put the Chatterbox Drive-In on your list! You are sure to enjoy whimsical ambiance of this 50’s and 60’s style drive- in restaurant while munching on some favorite foods. The Chatterbox features both dine-in and car-hop services (during the warmer months), both offering a full menu of diner staples with classic Jersey flare. The restaurant boasts a large circular dining room complete with black and white checkered floors, red booths encompassing the edges with time-honored movie posters and black shiny records decking every wall. The retro style carries all the way to he Coke bottle salt and pepper shakers and brilliant, metallic tables and chairs scattered throughout. 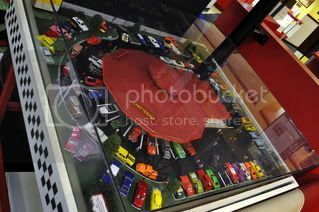 There is even a toy train that run along the ceiling! 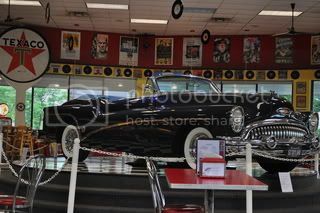 In the center of the dining area rests a platform featuring classic cars and bikes which rotate throughout the year. And if you are a fan of the classic car scene, be sure to stop by during the summer months for “Cruise Night” or “Corvette Night”. These events, and more, occur every week or month,and the parking lot fills to the brim with classic cars and bikes while the Chatterbox’s own DJ plays tunes. The DJ, Doc South, has been sharing his love of music at the Chatterbox since they first opened. The Chatterbox whips up all the foods considered standard fare for a New Jersey diner. There are also some creative interpretations of the usual menu items, such as the Sinatra burger, topped with peppers, onions, and brown gravy, the mac and cheese wedges, and homemade chilies. 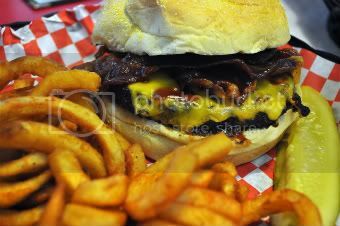 What the Chatterbox is most known for is their charbroiled burgers and old-fashioned desserts, such as egg creams and ice cream sodas. But that’s not all! 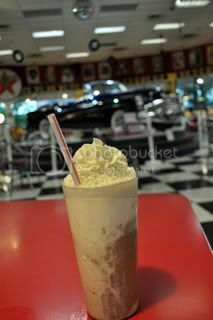 They also showcase other unique dessert drinks, like the molly pitcher, which is basically a creamsicle in drink form, root beer floats, and Monster energy drink Floats. 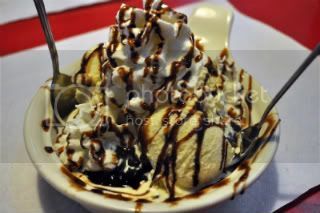 Their dessert menu will not be overshadowed either, packed with sweet treats like blueberry crisp, apple crisp, or cinnamon buns all stacked with ice cream, and loads of toppings. Rest assured, no one will leave here hungry! Amanda Waters is thrilled to be working with Jersey Bites for Sussex county, with occasional stops in other counties along the way. Her passion for “all things food” stemed from growing up in an Italian-American kitchen. A lifelong Jersey girl, she only left for college and then returned to Sussex County. She is newly married to her husband, who is the ultimate food taster, traveler, and photographing companion. She also writes her food blog, Our Italian Kitchen, where she shares family recipes and fun cooking adventures. She enjoys utilizing yummy produce and food grown locally in her cooking.